In Scandinavian preschools music activities have not changed significantly over the years (Söderman 2012), even though society is changing. Preschools offer children activities in which music is seen only as a “singing-subject” comprised of vocal repertoire from an unquestioned “preschool canon” (Söderman 2012), rarely including musical instruments (Still 2011). Moreover, the activities are adult controlled, and restrict the children’s manoeuvres rather than facilitate them (Still 2011). Certainly, this state of preschool music can have many explanations, depending on the perspective taken and the specific questions asked. One suggestion is that these static circumstances of music activities, especially children’s lack of influence on the events, mirrors a larger issue about the societal condition where children are positioned as “the Other.” In this case, children, in relation to adults, are a subaltern group that consequently possesses less power and influence (Alanen 2001). This marginalisation is an issue that has been addressed within the New Sociology of Childhood (e.g., Alanen 1992, 2001, 2011), but also to some extent within the field of Early Childhood Education (e.g., Canella 2008; Viruru 2001). However, in research on preschool music education, the issue of children’s inferiority is treated sparingly, if not conspicuously absent. In the larger field of music education research outside the preschool field, there are scholars who take the more fundamental starting point that music education should be transformed, as society is transforming, and be transforming, as music education ought to engage in different social-justice issues (Jorgensen 2003). Authors within this critical field of music education include: Allsup (2003, 2010); Custodero (1998); Hess (2014); Jorgensen (2003); Lamb (2010), and Regelski (2005), to mention a few. These scholars take different approaches and their work includes a broad representation of music research subjects. Despite the progressive work that such scholars do within the field of music education there seems to be one theme that is not covered. In an interesting and much needed mapping of the research made on music and social justice (Lamb 2010), very little is mentioned about matters related to age power structures affecting children (or for that matter elderly people). When Lamb outlines the “subfield of social justice” within music education, she identifies certain research webs, oriented towards different research issues, such as gender, class and race. She also points out that music education has been slow to engage in social justice issues, an observation that is also confirmed by the fact that when exploring this critical field she does not manage to identify any webs that congregate around age power questions, undoubtedly because they do not (yet) exist within music education, as opposed to in research in general education. This lack of attention to age power structures in the field of music education in general, and preschool music education specifically, calls for more research and this article is one contribution to complement the work on social justice that is already being done. So, if the ways that music activities usually are staged do not give children influence, then it is of the utmost importance to identify and study practices that demonstrate how alternative ways of making music can contribute to children’s empowerment. 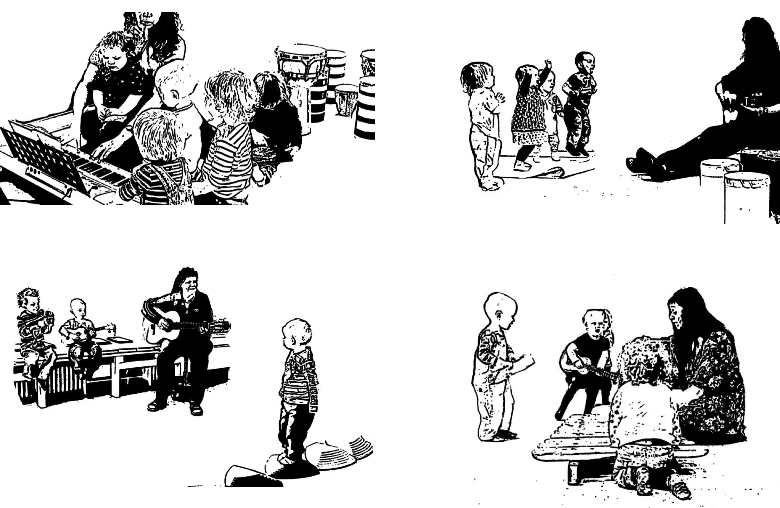 By extension, I see it as vitally important to explore if, and in this case, how, music activities contribute to creating spaces that involve very young children in the negotiation of mutual political matters. As such, the preschool considered here offers a case study to analyse what specific music activities and processes facilitate creating such spaces. Still (2011) advocates empirical studies of young children’s music making by means of video recordings, an issue that I addressed in my earlier study Musicking—Creative improvisation in preschool (Wassrin 2013). The purpose of the study, which I conducted in a specific alternative preschool, was to investigate music pedagogues and children’s (1–3 years of age) co-construction of music activities. The focus was on the participants’ use of semiotic and material resources to constitute and sustain these activities in face-to-face interaction. The results showed that the children influenced the events; therefore, I intend to use the same empirical material in this article to further investigate the processes of empowering children’s agency through preschool music activities, and consider young children’s possibilities, or lack thereof, to participate in negotiations of mutual issues. Before analysing the specific features of the music activities and the preschool’s practice, in this section, I will give a brief description of what characterizes the preschool and its music activities. In the music events the children were allowed to decide if, when, and in what way they wanted to participate; thus the structure allowed different participation strategies. Further, the pedagogues permitted mobility in the room; this allowance proved to be essential for the children’s access to musical instruments and other objects, and for their possibility to initiate and participate in specific activities. The music events thus evolved multi-modally and improvisationally, involving both musical and extra-musical actions, such as role playing and drawing. Images of music events in which the four categories listed above are combined. The intended focus of the music activities was not on learning specific aspects of music, such as beat or rhythm and there was no visible striving for progression in musical learning. This is not to say that the children did not learn music, but the music pedagogues did not explicitly try to teach the children the subject of music in the form of specific musical elements. Something else was at stake—emphasizing children’s participation. The strong emphasis on participatory aspects evokes numerous questions. What were the pedagogues trying to achieve by taking up the children’s initiatives to such an extent, and by giving the children ample space as actors? Why were they widening the concept of music to also encompass other forms of expression in addition to music, while at the same time still labelling it music? Finally, how can we understand this mutually constructed participation space? From a multitude of possible questions, I restrict the current article to the examination of this music practice from a philosophical and political perspective. More specifically, I ask whether the activities contribute to creating a public sphere, in the Arendtian sense. If so, then specifically how is this public sphere achieved, and what contents are negotiated within it. To explore these questions, I use an Arendtian conceptual framework, primarily Arendt’s concept of action (Arendt  1998). Even though Hannah Arendt often insists on reminding her readers that she is not a philosopher (O’Byrne 2005), she is arguably one of the most influential political philosophers of the twentieth century. Her analyses cover various themes, such as critiquing modernity’s utilitarian thinking of means and ends; thoughtfully dealing with the ontological question of the nature of the political; and considering the nature of evil and the important balance in human life between thinking and acting. Much of her writings are also centred on questions related to democracy and the lack of public spheres in modern society—a concept at the core of this article. Overall, Arendt’s writings have had great influence on the social sciences and the humanities, and her conceptions are inspiring tools for evolving new thoughts. Hence, I will also refer to some of her interpreters, considering how Arendt’s thoughts may be understood in our contemporary world and the questions arising within it. Below, I will give a brief overview of Arendt’s philosophy, focusing on the concepts relevant to my analysis. A starting point for approaching Arendt’s concept of action is her emphasis that human beings are characterized, above all, as thinking and acting beings. Theoretically, Arendt divides human life into the dimensions of Vita contemplativa (thinking life) and Vita activa (acting life), between which human beings need to balance. This balance should be understood as the balance between the philosophical, which she links to thinking, and the political, which she connects to acting, that is, taking action. Arendt implies that it is not desirable to keep these two dimensions separate in human life, but that they are effectively intertwined parts, or dimensions that are preconditions for each other. Arendt claims that if the balance between the two is unstable there could be serious consequences. She deals with this topic in detail in Eichmann in Jerusalem: A report on the banality of evil (1963), where she claims that in order to think for oneself, to act, one must think and judge how to act in order to be master of one’s own deeds and not merely an executor or an implementer. To be ruled by one’s deeds is to escape genuine politics, according to Arendt ( 1998). Consequently, she questions traditional notions of philosophical thinking (understood solely as contemplation by a genius philosopher in isolation from other human beings). Rather, she claims philosophical thinking to be an ever-present possibility for everybody (if not to say a necessity to maintain equilibrium between Vita activa and Vita contemplativa), and a form of genuine listening to others in the world. Vita activa consists of three modalities: Labour, Work and Action (Arendt  1998), of which labour refers to the survival activities that humans repeatedly have to do to stay alive. Nothing of permanence results from labour, because it is characterized by necessity, and aims only at striving for survival. The second modality, work, concerns the actions that humans take in order to change their environments. It is a domain of production where humans strive to construct (materially and socially) some kind of stability in their surroundings; thus, this modality is characterized by its instrumentality, since it deals with means and ends. If labour and work involve human beings’ interactions with the material world, the third modality, action, is an end in itself. For Arendt, action is connected closely to the concept of natality, which she likens to how human beings break into the world through birth with their unique beginnings. An individual’s uniqueness should be understood here as the potential to do things that have never been done before, and not a person’s innate characteristics and qualities. For Arendt, the human condition is the specific ability to take initiative in the world through words and deeds and, in that way, start something new; therefore, natality is analogous to bringing our newness to the world repeatedly “like a second birth” (Arendt  1998, 176). Arendt claims that every human being has the capacity to grasp the initiative to act. The quality of the modality of action is, according to Arendt, freedom, as it “calls something into being which did not exist before” (Arendt 1977, Kindle location 2725). She continues by claiming that human beings are free as long as they act, but neither before nor after. Thus, freedom exists in action. However, an important remark is that action is the activity that occurs between human beings and thus freedom cannot appear in isolation. To make its appearance, freedom needs a public space—a place where others are present and may respond to our new beginnings and react to them. This implies that freedom never can appear without plurality, that is, others, because we are always acting towards other human beings who bring their unique newness to the world. According to Arendt, the public sphere has two meanings, or dimensions. First (the meaning I will dwell on most in this article), a space of appearance, in which we appear in public, and are seen and heard by others; this accordingly constitutes our sense of reality that we share with others. The second dimension of the public sphere is the common world, which is more stable, and is common to all men [sic], not only in the public sphere. It is “related to the human artefact, the fabrication of human hands, as well as to affairs which go on among those who inhabit the man-made world together” (Arendt  1998, 52). In this dimension, structures and arrangements, such as organizations, institutions, and associations, may represent the man-made and more stable character of the public sphere. One of Arendt’s most urgent ambitions is to point out the lack of public spheres in modern society, and she advocates the (re-)creation of spaces in which humans can exist together in plurality and equality, or, to put it in an Arendtian way, to exist politically. Gert Biesta (2012), who has turned to Arendt’s work to explore the relation between education, democratic politics and the public sphere (among other matters), argues that Arendt’s notion of a public sphere should not be understood in physical terms, but in terms of a particular quality of human interaction. Still, even though it can be understood as a form of interaction, it has to occur somewhere and thus “needs to be connected with the idea of public space” (686), a connection that is at the heart of this article. Using Arendt’s thinking when conducting educational research could certainly be questioned because of some of her statements, including her perception of the child, the child’s position in society, and her view on education as not belonging to the public sphere. Nevertheless, there are several scholars that like Biesta (as already mentioned above; see also Biesta 2010a, 2010b, 2006) are clearly inspired by Arendt’s thinking in their writings on educational topics (e.g., Ferm Thorgersen 2013, 2014; Kanellopoulos 2007; Varkøy 2015). They all explore the potential in Arendt’s thinking in relation to educational matters and, I would say, often expand her ideas in ways that she, living in another time, might not totally agree with. Also this article sympathizes with an “expansion” of Arendt’s theorizing, by claiming that preschools (and schools) can indeed offer potential public spaces. According to Arendt (1954), children are human beings in becoming, and thus in need of protection from the public sphere until they are educated enough to participate as political subjects in the political realm. However, in the time since Arendt formulated her ideas about the child, there has been important research towards a New Sociology of Childhood. With this, the view of the child has been modified and consequently the view on the relationship between the adult and child. Now, children more often are regarded as social and competent agents entitled to be seen and heard in their own right. It should be noted that while Arendt draws from the ancient Greek theory of polis, in which only free men potentially partake, she makes no explicit issue of gender, causing disappointment among some contemporary feminists. Nevertheless, she does establish that women have the right to participate in public spheres equally with men, by her very own explicit example of partaking in public debate as a woman. Because gender equality opens up the possibility to make the same redefinition regarding children, it is therefore appropriate to explicitly make such a parallel application of her concepts. Thus, this article applies the same ideas to children. How would Arendt’s concepts and thinking be comprehensible and then used accordingly in the context of children’s agency in preschool musical activities? Hyvönen (2014) claims that it is important to be aware of the nature of Arendt’s theorizing, which he asserts should be understood in the context of her essayistic writing style and the tentativeness of her work. He further argues that many of Arendt’s interpreters adopt an over-ontologization, atemporalization and immobilization of her concepts that may be counterproductive when trying to understand and use them. Arendt was not a system builder, but instead her thinking was based on experience, calling for continuing interpretation of her concepts. Likewise Arendt’s claim that schools are non-political should, according to Nakata (2008), be subject to rethinking because schools (and preschools) are places where injustice is possible, and children, highly affected by their experiences, should have the right to speak and therefore be seen as political subjects: “Without political agency, a child may only be identified as victim” (24). Arendt’s move to situate education within the social realm partly derives from her view on the relationship between the adult and child. As she keeps the adult and the child apart from each other (at least they are not in a collaborative relationship), there is no middle ground in which child and adult can come together. The adult either educates the child, or is (in some educational approaches) totally absent, leaving the child to be let adrift among its peer-group equals (Arendt 1954). I want to stress that this unequal relationship between adult and child should be subject to rethinking in order to situate educational institutions as potential loci for political action. Likewise, Arendt’s move to locate education within the social realm is connected to another question: citizenship. In her view, children are first to be educated in order to be able to participate as citizens. Biesta (2010b) finds it necessary to ask whether it is possible to think of the relation between education and democracy (and consequently children and citizenship) differently from: “the preparation of children and young people for their future participation in democratic life” (556). As he reads Arendt, political life begins “when education has come to its end” (565), causing him to question where this boundary between education and politics occurs: “When, … is the child ‘ready’ for politics?” (565). His answer is, in short, that the existence of a properly educated citizenry does not automatically result in democracy, since in the adult world there are individuals who are not capable of managing the conditions for politics, including: “action in plurality” (565). Consequently, there must be other, more fruitful ways to conceive of the relation between education and citizenship. In the following section, I apply Arendt, together with Biesta’s, Hyvönen’s, Nakata’s and my own expansions of Arendt’s theoretical approaches, to the empirical example in order to explore if the music activities in the aforementioned preschool contribute to the creation of a public sphere. When applicable, I analyse how this is achieved, specifically considering Musicking (Small 1998) and the music-activity-related organizational features. As mentioned above, something other than merely teaching and learning music was at the centre of the music practice in this preschool case study. The children and the music pedagogues simply seemed to “be together in music.” The events were flowing back and forth, as the participants (both children and pedagogue) responded to the initiatives taken in different modalities. Consequently, the content and the character of the activities changed as they progressed. The children were highly involved, and their contributions were essential to the emerging events. In this mutual space, the participants made themselves known to each other, or to use Arendt’s concept, they made themselves appear before each other by means of their deeds of different characters. For example, the pedagogues highlighted an individual child’s initiative, mostly by pointing it out verbally, but also through bodily gestures, so that the initiative would be noticed by the other children, who then could respond, affirming the idea by joining in and further elaborating on it. The children also ignored the others’ actions, by desisting to act on them, and instead started new, completely different initiatives. The events also contained a multitude of decision points (Sawyer 2003), where the events could take new directions. The pedagogues often let there be such spots, or gaps, in the interaction, where the children could enter with their initiatives. Consequently, the pedagogues did not hold the group with a firm grip by inhibiting activities and claiming all space for themselves as adults. In this way, the pedagogues facilitated the coordination of a multitude of individual ideas for how the events should evolve, and so, different initiatives were intertwined into a joint event. I stress this staging of mutual appearance as being similar to what Biesta (2010b) refers to as “being-together-in-plurality” (558), which characterizes a being together “without eradicating plurality” (558), and which, according to Arendt, is the pre-condition for action, and genuine politics. In negotiating the music events, the children and the pedagogues affirmed the otherness of the others, through the acknowledgment of everybody’s unique voices. It can be said that the pedagogues let the children meet the other children’s otherness, and uniqueness, thereby nourishing plurality (Hansen 1995). This was facilitated by not striving for sameness in the events as in a traditionally performed music activity (see note 1), usually led exclusively by the adult pedagogue and in which everybody generally is expected to participate in the same expression and actions at the same time, as in the reproduction of songs and singing games. Although it is true that we reveal our distinct uniqueness through what we do and say, we should not think of this as a process through which we disclose some kind of pre-existing identity (687). The sticking point then is the “who” that reveals her/himself is not existing prior to the response from others, but the subject becomes anew in every interaction, again, and again, depending on how others respond. This is of utmost importance since it moves the focal point of the interaction to the “in between-ness,” that is, the point where others respond to appearance and initiatives; a point that here brings to the fore the question of the ways that this interaction could be done, or was allowed to be done, in this specific context. When the children and the pedagogues made themselves appear before each other through actions in the music activities, they used a multitude of expressional means. These expressions can be described according to a “size-continuum” from large auditory and visual expressions, such as singing, shouting, talking, jumping, and playing, to very subtle actions, such as cautious gestures, facial expressions, gazes and touches, all being actions of a certain aesthetic form or shape (Duranti 1997). Since plurality, according to Arendt ( 1998), is an ever-present basic condition of being human, it must also be applied to the space of appearance. This basic circumstance has far-reaching consequences when exploring the traits of this certain form of togetherness. For example, importantly we are reminded by Sjöholm (2015) that “Arendt’s political ontology rests on a notion of plurality that cannot be conceived in the abstract” (x). When directing our attention towards the aesthetic qualities of Arendt’s notion of the space of appearance, Sjöholm emphasizes that Arendt introduces “plurality in aesthetic terms, as the ‘sheer entertainment value’ of the multitude of views, sounds, and smells that accompany appearances” (12). Consequently, in this space, an aesthetic dimension, or quality, is ubiquitous through a human being’s use of words and other means of communication in their urge to appear. The multiplicity of the senses is an aspect of this diversity. Life exists for the sake of the multiplicity of appearances, and it manifests itself through multiple forms of appearance. To appear is to act, take up space, take shape, talk, or gesture (13). She accordingly emphasizes that: “The political is seen, heard, felt, and apprehended through a sensible form of being” (x). By allowing a multitude of different aesthetic and sensory expressions in this preschool’s space of appearance, plurality was affirmed; in both their appearance before each other and in the taking of initiatives, the children were empowered with embodied agency by the manifold possibilities of expression (particularly bodily) of various forces and sizes. In this way, the children were given opportunities to express themselves, and to take initiative in other ways than simply verbal. If we connect this musical framework to Small’s (1998) broad definition of musicking, we can see that musicking is a concept that may cover and promote such a notion of aesthetic and human plurality. In a musicking event, the participants’ actions, different means of expression and spatial and temporal conditions must be taken into account, as contributing to the meaning of the moment. In both the music practices and in their appearances before each other, the participants were not limited by (pre-existing) assumptions about what expressions could or could not be incorporated in a preschool music activity. Despite the pedagogues’ labelling of these events as “music time,” or other musical categorizations, there was a multitude of ways than simply musical through which the participants presented themselves to others and they took initiatives in a multitude of ways, not simply musical. Hence, the music activities in the preschool indicate a practice with a “widened concept of music,” an expression which the music pedagogues also explicitly used during the group interview. This widened conception of music is supportive of an aesthetic, pluralistic approach, opening up communicative means available for all, and not delimiting activities to pre-constructed categories. The public realm in the polis, which Arendt appropriates as metaphor from ancient Greece, was open only to equal men. Therefore, if a public sphere is to be created in a preschool, equality must be seen as a crucial condition to achieve. In light of the intended equality of the public sphere, the question of ways of expression is actualized once again. However, here, more specifically, the problem arises regarding which means of expression, or “languages,” are counted as legitimate when partaking in deliberate discourse. In some fields, it is argued that deliberate discourse should build solely on verbal reasoning and argumentation (Barnes et al. 2004), excluding some modes of communication as illegitimate. However, a democratic community that sees verbal language as the only legitimate language for argumentation excludes possible participant groups that communicate in other languages, e.g., bodily. Viruru (2001) goes so far as to argue that verbal forms of representation are imposed on children as “the “natural” way of human expression and communication” (31), in which they are expected to express themselves as soon as possible: “the earlier children become ‘vocal’, the sooner they can express themselves” (32). She continues, referring to Spivak, stating, “this concept of becoming vocal itself represents speaking within traditions and hegemony” (Viruru 2001, 32). Through this, Viruru demonstrates that spoken language is the form of representation “of the privileged’ adults” which as a form has gained power, marginalizing other ways of interacting with, and in, the world. Moreover, such excessive importance given to verbal speech, making its form of language superior in relation to other forms is not always easily visible. Viruru (2005) refers to Harvey, who conceptualizes such ‘natural’ and invisible circumstances as “civilized oppression” which can “be buried in day to day incidents of no obvious significance” (Harvey 1999, quoted in Viruru 2005, 19). I assert that this preschool’s music-activity practices challenge this hegemonic view of verbal speech as superior to other forms of expression. Beside the legitimization of other “languages,” or ways of expression, equality was ensured by the preschool’s material and spatial organization. Most of the musical instruments were accessible to the children throughout the day, and they decided when, and how to use them and other objects. Mobility in the room, and between the rooms, was allowed in order that the children could initiate and participate in specific activities. Thus, the pedagogues considered bodily actions important, as legitimized ways of taking initiatives, and consequently, they provided the children with preconditions for this in an environment that was organized accordingly. This organization constitutes the more stable dimension of the public sphere, the common world, in the form of a mutual space, which pedagogues and children share. In addition, temporal structures likewise can support equality in a preschool institution. One example was the flexible daily schedule, which made it possible for the pedagogues to temporally extend activities when the children seemed particularly interested and involved in an activity. Besides establishing equality, the space of appearance demands other prerequisites to come into being and be sustained. In relation to this, Arendt characterizes the space of appearance as a fragile space: “Wherever people gather together, it is potentially there, but only potentially, not necessarily and not forever” (Arendt  1998, 199). In order to demonstrate how this issue of fragility was addressed in the specific preschool, I first have to turn to another of Arendt’s concepts; the web of human relationships, “which exists wherever men live together” (184). When individuals are initiating new things, these actions “always fall into an already existing web” (184), that is, of things said and done in the past. In short: the world into which people are born already has a form. Consequently, the fragility of the space of appearance (and relatedly, the potentiality of the creation of a public sphere) can be about the extent to which the “who” is allowed to enter into the already existing web. According to Arendt, this admission is not always obvious: “It is because of this already existing web of human relationships, with its innumerable, conflicting wills and intentions, that action almost never achieves its purpose” (184). Perhaps the web is so strong or rigid, that individual actions sometimes do not manage to break into it, and our possibility to act, and the consequences and effects of the actions, are thus always dependent on how our actions are received by others. In the preschool’s music activities it seemed easy to have one’s initiative (defined as musical or not) taken up, being affirmed, and elaborated on improvisationally. To appear to others through bodily and sounding expressions, was not something that the pedagogues prevented. The pedagogues did not put limitations on the interaction, banning undesirable ways of expression, and this made it easier for them to drive the events together with the young children, and not “against” them; the latter is sometimes the case in traditional music activities, when pedagogues constantly struggle to correct the children towards a “purely musical” and ritualized behaviour, for example, in circle time (the very structured hegemonic form of gathering preschool children). These didactic decisions to not hinder the children’s actions cannot be equated with “letting go” of pedagogical, adult responsibility; it is not passively stepping back, because the pedagogues largely interacted to connect individual initiatives to the whole group of children. By intent listening, and by deliberately stepping back (and thereby increasing the number of decision points in the activity), the music pedagogues waited for the children to act and reveal their beginnings to the world, trusting that the children would be able to contribute with their initiatives and, consequently, break into the web of relationships. In line with this, Biesta (2006) accentuates that Arendt’s political action only exists in social interactions (plural), but not any social situation can be deemed political. Actions that can be seen as genuinely political are only those that do not restrict or limit the answers to individual initiatives. In the educational domain this means that when pedagogues try to control how students respond to initiatives, the activities do not remain in the public sphere where political action is possible, but have left the public sphere for the production domain of work, with its instrumentality in terms of means and ends (Biesta 2012). Through pedagogical efforts to develop certain kinds of persons, pedagogues prevent children’s newness to break into the world. The particular quality of human interaction that characterizes the public sphere can thus be distinguished by permitting others to break through in the world with their newness, without trying to limit their responses, by forcing our beginnings on others and thereby rejecting and eliminating the other’s otherness. As soon as we erase or reduce plurality in such ways, we make the appearance of freedom impossible. If we understand actors in the public sphere as citizens, we can therefore say that Arendt’s ideas about acting in concert whilst preserving plurality is about a citizenship of strangers (690). To control is to assume we know or have met the person in front of us, eradicating all possibilities of the new entering the world. It is to retreat from the responsibility of the world (1). Being in the state of not knowing who will make an appearance in the present requires genuine listening from the participants. As such, the pedagogues were not merely hearing and seeing what the children were attempting to reveal in the moment, but seemed to actively pursue attentive listening with their “third ear” (Sandell 2013) to grasp the whole picture, an explicitly improvisational approach. According to Arendt, the elementary purpose of creating a public sphere is to deal with political projects of common interest: “These interests constitute, in the word’s most literal significance, something which inter-est, which lies between people and therefore can relate and bind them together” (Arendt  1998, 182). Despite Arendt’s thorough description of the form, condition, and character of political action, she does not explicitly define the content of the discussions within the public sphere, or specify questions that could be identified as political. Nevertheless, understood in the spirit of her segmenting the character of human life into labour, work, and action, political action is not about means and ends, or “house holding” in society (Arendt  1998), but about “processes of creating the conditions for unlimited interrogation about how we think the world and how we form our collectivities” (Kanellopoulos 2012, 3). Consequently, political questions are tied to issues about what it is to be human, and to live together in plurality in a common world. Below I describe two specific matters that I see as being mutually negotiated topics in the specific preschool. Two interrelated matters that the participants explored include: “how to be together in plurality in music,” and “how the limits between musical and other actions can be understood.” These two issues taken together comprise a reconsideration of the subject of music in preschool, a matter developed in practice over time. Consequently, the children contested the categorizations and limits between “languages,” as did the pedagogues afterwards. From having staged the subject of music as a more demarcated phenomenon, occurring in a closed music room, the pedagogues subsequently broadened the music practice by opening up the music events to include several other ways to participate, including offering the children more extra-musical material and keeping the door between the music room and the adjacent room open. The music-activity participants’ interactions construct and negotiate the categorization of different phenomena also present outside preschool. As a result, the children’s contributions potentially challenge current worldviews that extend beyond this educational context. I claim that the participants in the example create public spheres in which they negotiate, through their specific unique beginnings, “how life should be lived.” The children as newcomers in the world here give new suggestions about the conception of “music in preschool” that are intertwined with other communicative languages. The children thus communicate their various worldviews through their differing categorizations and ways of exploring the world. One example is that the children were allowed to handle the instruments in “incorrect” ways as long as the instruments were not harmed. These experiments were even encouraged and reflect a contesting attitude towards “the way that things are supposed to be,” in which the pedagogues could look for new understandings of the objects and environment together with the children. These stories may then be recorded in documents and monuments, they may be visible in use objects or art works, they may be told and retold and worked into all kinds of material (184). The significance and consequence of action itself is therefore reliant on the articulation given to it by narrators, and the pedagogues are here vitally important in fulfilling this role. Another important thing is that these stories need hearers that can be transmitters of the deeds, and so the audience of the pedagogues’ lectures is similarly important in their potential role of passing on the stories told. Consequently, as a result of negotiation in the form of political action in the small public sphere created here and now, the unique voices of the children and the pedagogues extended beyond the specific preschool and challenged existing interpretations of different concepts, such as “music in preschool.” As well, the negotiations challenged existing worldviews, including conceptions of the child and the role of the pedagogue. participants not only learn about those relationships, but actually experience them in action. They explore them, they affirm their validity, and celebrate them without having to articulate them in words (5). These ideal relationships are also honoured in the preparation and organization of the spatial and temporal environment and, as Small argues, therefore they have impact on the events. By organizing time, material, and space for equality, the possibilities for the children to act as equals compared to the adults increase, consequently challenging age power structures. Moreover, in this educational context the pedagogues resist the “temptation to replace acting with making” (Biesta 1998, 504). Instead, they practice listening to the children, without predetermined categories in what can be seen as a “citizenship of strangers” (Biesta 2012, 690). The events are projects of mutual interest, in the sense that it is not the fundamental pursuit of the pedagogues to explicitly teach music, and thus produce specific musical subjectivities. Nevertheless, together with the children, the pedagogues explore various interpersonal issues. The music practice constitutes an example of “how to handle the complexity of a world populated by others that are not the same as me” and how this can be done within the media of musicking. The pedagogues take the fragile space of appearance seriously by: affirming the initiatives of the children; not taking advantage of their superiority as adults; and not silencing or hindering them, for example, by limiting their bodily mobility in the room, which would deprive them of their (bodily) way of communicating. Instead children’s bodily actions are seen as significant means of taking initiatives, and the individual child’s initiative is generally seen as equally important as the adult pedagogues’ initiatives in the event; this equality explicitly challenges the age power structure. Furthermore, equality is brought about by admitting a multitude of “languages” in addition to musical expressions, because when the pedagogues perceive various means of expression as legitimate ways of communicating, as a result, they challenge hegemonic, adult, verbal means of communication. In the music room, different preconditions regarding the potential means of communication between young children and adult pedagogues are taken into account, and thereby agency can be understood as distributed, and not personally owned (Lee 1998). This is in line with Arendt’s idea that public spheres are only open to equal men, who are made equal precisely because they enter into the public realm by appearing before each other through words and deeds, and they enter into a space where others hopefully can receive their newness. In very simple terms: equality can be achieved in public spaces through the provision of certain tools that facilitate agency of children (and adults), enabling them to perform as equal political (and social) actors. In this particular preschool context with its specific participants, certain interaction resources were needed due to the age of the children and hence their limited verbal speech; (i) the implementation of music as language in the preschool; (ii) the organization of spatial and material resources to facilitate initiatives and communication through bodily actions; and (iii) the music pedagogues’ endeavour of listening to, and taking up, these bodily initiatives of the children. These complementary resources were provided in order to establish communication that is equal. Finally, I will briefly touch upon the political issues that were treated within the public sphere: “how to be together in plurality in music,” and “how limits between musical and other actions could be understood.” These two issues, taken together, can be seen as extensions of the negotiations of the preschool subject “music,” encompassing also the demarcation and character of music as phenomenon. As such, this preschool practice challenges hegemonic, adult ways of performing music, regarding who has the right to determine what music is, or can be. This is also shown through the pedagogical avoidance of “the unnecessary discipline or regulation of anyone” (Canella 2008, 172), here, especially children and their bodies. According to Kumashiro (2001), the reasons why “teaching subjects” only include what we have come to call, for example, “math,” “science,” or in this practice “the subject of music in preschool,” are that they derive from specific privileged groups’ ways of seeing the world and therefore they are one-sided knowledge. He states that we “desire hearing only certain (‘scientific’) stories about the world, in order to affirm our knowledges, identities and practices” (6–7). Consequently, it is also possible to explore alternative ways of knowing and acting in the world through other “subjects of music” (or “subjects of math”). In this study, by problematizing “music in preschool” together with the children, other “subjects of music” came into being; these matters are also transferred from the local public sphere of this preschool to the larger context of the preschool field through outreach, i.e. the pedagogues’ lectures, given for preschool staff from their own and other communities. This agency distribution through the pedagogues’ storytelling (Arendt  1998) is yet another reason why the children may be seen as citizens having impact on society here and now and not only seen as citizens in becoming. The quest of finding such new ritual acts, by which to explore and experience more equal relationships between adults and children through the means of musicking, is in this preschool seen as an important task that is taken utterly seriously. Maria Wassrin is a PhD student in music education at the Department of Humanities and Social Sciences Education at Stockholm University, Sweden. This article is one of two in her PhD thesis, also consisting of a licentiate thesis: Musicking—Kreativ improvisation i förskolan (2013), which focuses on 1-3 year olds and three music pedagogues’ co-construction of music activities in an alternative Swedish preschool. The second article is named Rethinking music activities in preschool – Exploring links between conceptions of the child and conceptions of music (2016, in press). Wassrin’s research interests include anti-oppressive education and music education for social justice, particularly very young children’s opportunities for participation in music activities in preschool. Wassrin formerly worked as a preschool teacher and a preschool director and she teaches music at the preschool teacher program at Stockholm University. I would like to thank Panagiotis A. Kanellopoulos for his inspiring and generous comments at the various stages of the work with this article. I also want to thank the three anonymous reviewers, who contributed with important and productive comments. Alanen, Leena. 1992. Modern childhood? Exploring the “child question” in sociology. PhD diss., Jyväskylä: Pedagogiska forskningsinstitutet. _____. 2001. Explorations in generational analysis. In Conceptualizing child–adult relations, edited by Leena Alanen and Berry Mayall, 11–22. London: Routledge-Falmer. _____. 2011. Editorial: Critical childhood studies? Childhood 18: 147–50. Allsup, Randall Everett. 2003. Transformational education and critical music pedagogy: Examining the link between culture and learning. Music Education Research 5 (1): 5–12. doi:10.1080/14613800307104. _____. 2010. Philosophical perspectives of music education. In Critical issues in music education. Contemporary theory and practice, edited by Harold. F. Abeles and Lori. A. Custodero, 39–60. Oxford: Oxford University Press. Arendt, Hannah. 1954. The crisis in education. In Hannah Arendt—Between past and future: Eight exercises in political thought, edited by Jerome Kohn, New York: Penguin. Kindle Edition. _____. (1958) 1998. The human condition. Chicago: University of Chicago. _____. 1963. Eichmann in Jerusalem: a report on the banality of evil. New York: Viking Press. _____. 1977. What is freedom? In Hannah Arendt—Between past and future: Eight exercises in political thought, edited by Jerome Kohn, New York: Penguin. Kindle Edition. Benedict, Cathy. 2015. Hannah Arendt: Finding the unexpectedness across time and space. Presentation at the 10th Conference of the International Society for the Philosophy of Music Education. Frankfurt am Main, 3–6 June 2015. Biesta, Gert. 1998. Say you want a revolution… Suggestions for the impossible future of critical pedagogy. Educational theory 48 (4): 499–510. _____. 2006. Beyond learning: Democratic education for a human future. Colorado: Paradigm Publishers. _____. 2010a. Good education in an age of measurement: ethics, politics, democracy. Boulder, Colorado: Paradigm Publishers. _____. 2010b. How to exist politically and learn from it: Hannah Arendt and the problem of democratic education. Teachers College Records 112: 558–77. _____. 2012. Becoming public: public pedagogy, citizenship and the public sphere. Social & Cultural Geography 13 (7): 683–97. Canella, Gaile Sloan. 2008. Deconstructing early childhood education: Social justice and revolution. New York: Peter Lang Publishing. Custodero, Lori. A. 1998. Observing flow in young children’s music learning. General music today 12 (1): 21–7. Ferm Thorgersen, Cecilia. 2013. The music classroom: a local place and a public space; Hannah Arendt’s thinking about democracy as a fundament for educational activities that offer music as a language of us all. International Society for Philosophy of Music Education, IV. _____. 2014. Estetisk kommunikation för inkludering och delaktighet. In Inkludering: möjligheter och utmaningar, edited by Cecilia Ferm, Margareta Sandström, Jonas Stier and Lena Nilsson, 172–94. Lund: Studentlitteratur. Hansen, Phillip. 1995. Hannah Arendt—Politik, historia och medborgarskap. Göteborg: Daidalos. Hess, Juliet. 2014. Radical musicking: Towards a pedagogy of social change. Music education research 16 (3): 229–50. Hyvönen, Ari-Elmeri. 2014. Tentative lessons of experience: Arendt, essayism, and “the social” reconsidered. Political Theory 42 (5): 569–89. Jorgensen, Estelle Ruth. 2003. Transforming Music Education. Bloomington: Indiana University Press. _____. 2012. Music education and/as artistic activism: Music, pædeia and the politics of aesthetics. In Proceedings of the 30th ISME World Conference on Music Education, Music Paedeia: From the Ancient Greek Philosophers to Contemporary Global Music Communities, Thessaloniki, 15–20 July 2012. Kumashiro, Kevin K. 2001. “Posts” perspectives on anti-oppressive education in social studies, English, mathematics, and science classrooms. Educational researcher 30 (3): 3–12. Lamb, Roberta. 2010. Music as sociocultural phenomenon: Interactions with music education. In Critical issues in music education. Contemporary theory and practice, edited by Harold. F. Abeles, and Lori. A. Custodero, 23–38. Oxford: Oxford University Press. Lee, Nick. 1998. Towards an immature sociology. The Editorial Board of the Sociological Review. Malden, MA: Blackwell Publishers. Nakata, Sana M. 2008. Elizabeth Eckford’s appearance at Little Rock: The possibility of children’s political agency. Politics 28 (1): 19–25. O’Byrne, Anne. 2005. Pedagogy without a project: Arendt and Derrida on teaching, responsibility and revolution. Studies in Philosophy and Education 24: 389–409. Regelski, Thomas. A. 2005. 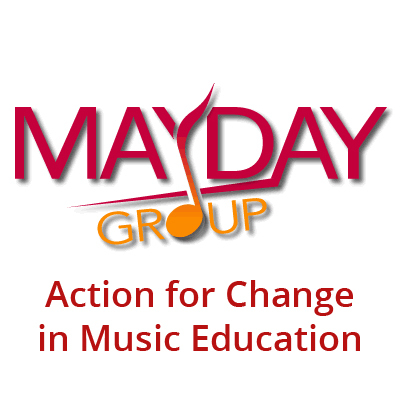 Music and music education: Theory and praxis for ‘making a difference’. Educational Philosophy and Theory 37 (1): 7–27. Sawyer, R. Keith. 2003. Group creativity. Music, theater, collaboration. Mahwah, NJ: Erlbaum. Sjöholm, Cecilia. 2015. Doing aesthetics with Arendt. New York: Colombia University Press. Skolverket. 2010. Curriculum for the preschool Lpfö 98. Revised 2010. Stockholm: Skolverket. _____. 1998. Musicking: The meanings of performing and listening. Middletown, Connecticut: Wesleyan University Press. Still, Johanna. 2011. Musikalisk lärandemiljö. Planerade musikaktiviteter med småbarn i daghem. PhD diss., Åbo: Åbo Akademis förlag. Söderman, Johan. 2012. Barnmusik eller musik för barn. In Musikvetenskap för förskolan, edited by Bim Riddersporre and Johan Söderman, 37–50. Stockholm: Natur & Kultur. Varkøy, Øivind. 2015. The intrinsic value of musical experience. A rethinking: Why and how? In Philosophy of music education challenged: Heideggerian inspirations, edited by Frederik Pio and Øyvind Varkøy, 45–60. London: Springer. Viruru, Radhika. 2001. Colonized through language: The case of early childhood education. Contemporary Issues in Early Childhood Education 2 (1): 31–47. _____. 2005. The impact of postcolonial theory on early childhood education. Journal of Education 35 (1): 7–29. Wassrin, Maria. 2013. Musicking—Kreativ improvisation i förskolan. Licentiate thesis. Stockholm: Stockholm University. _____. (in print). Rethinking music activities in preschool—Exploring links between conceptions of the child and conceptions of music. Nordic Research in Music Education Yearbook.